Tenacious, strong, and resourceful, Jean Evelyn Tilden Clarke lived a wholehearted life rich in faith and family. The very heart of her family, Jean was the glue that created deep connections and nurtured the traditions that will continue to thrive for many generations. With catching smile and unwavering faith, Jean met each day with a sense of adventure and gratitude that inspired all who were blessed to know her. Cherished by many, Jean will long be remembered by those she held most dear. With the rearming of US forces in the early 1940s, the strains of the Great Depression began to ease. Americans’ incomes grew, and their increased spending further fueled the economy. In 1941 the optimism of leaving the depression behind juxtaposed with the escalation of the war in Europe dominating world affairs. While Citizen Kane, Dumbo, and The Maltese Falcon drew patrons to the theater, Glenn Miller, The Andrew Sisters, and Jimmy Dorsey filled the airways. Despite the ominous winds of change blowing in from Europe, the foundation of hope and generosity our nation had firmly rooted itself in as a result of the preceding decade’s hardships could not be shaken. It was within this overwhelming feeling of fortitude, generosity, and hope that Jean was born to Herbert and Evelyn (Watrous) Tilden in the midst of a terrible snow storm in Gary, Indiana on January 26, 1941. From the moment she arrived, after her mother had to wade through deep snow to get to the hospital, Jean possessed a power and strength that would serve as the firm foundation for the rest of her life. She grew up in Garyton, Indiana, which is now known as Portage, Indiana. She enjoyed a childhood centered in books, playing in the open fields with the neighborhood kids, picking fruit, working the family garden, and carefully choosing the best violets for bouquets for her mother. 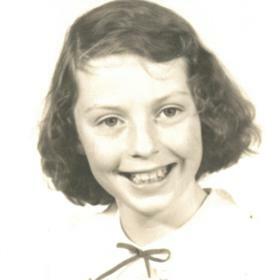 During her early elementary years, she attended Garyton. Her later elementary years were spent at Portage Central 4-6. 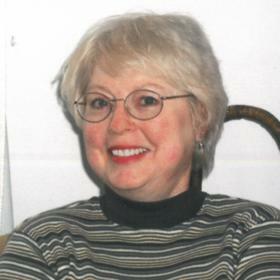 She attended Portage Crisman for years 7 through 9 and graduated from Portage High School in 1959. She served as the co-editor of her senior yearbook while simultaneously working 50 hours a week as a cashier then at the root beer stand as a cook. In 1961, while working at Bendix Missile in Mishawaka, IN Jean had the good fortune of meeting Robert Dudley Clarke who also worked at the company and who rode the same bus to work that she did. One day Robert asked Jean to go to dinner and a movie. Not only did he ask her to do both, he also charmed her with his harmonica playing while they waited for the bus. This got to her because her dad played the harmonica and she couldn’t refuse his invitation. For quite some time Robert had a calendar where he kept the names of the girls he dated so he wouldn’t ask them out again too soon. After his first date with Jean, he threw it away. One year and two days after their first date, the happy couple married at St. Anthony’s Church in South Bend, IN on May 5th, 1962. During the first years of their married life, Jean and Robert made their home in Mishawaka, IN. In 1975 they moved their family to Kalamazoo where Robert began working as a Quality Assurance Manager for Abex National Water Lift Division. Jean worked for 20 years as a stay at home mom, lovingly raising her eight children. Jean was very creative especially when it came to maximizing a tight budget. She made everything she could as a homemaker. All her cooking was from scratch and usually filled with the bounty of her garden. Her canning and sewing proved invaluable skills she acquired from her mother and expertly used to afford her family the comforts of home. A firm believer in the importance of a strong work ethic, Jean instilled this value in her children by assigning each of them chores. Regardless of age, each child had duties to perform and knew they were contributing to their family. Equally important to Jean was her faith. When the children were little, she was a faithful member of a bible study – a group of women with children who gathered once a week. The kids would play in the basement while the moms discussed scripture. 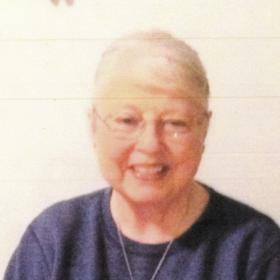 She was an active member of St. Augustine Catholic Church since 1975 and Charismatic renewal for 20 years. It was especially important to Jean that all of her children attend St. A’s. Her love of books often led her to read spiritual books that continued to grow her faith over the years. Once her children were grown, Jean attended KVCC for 3 ½ years and proudly graduated as a dental hygienist in 1987. For many years Jean gifted her patients with her loving care, sincere ear, and gentle touch. 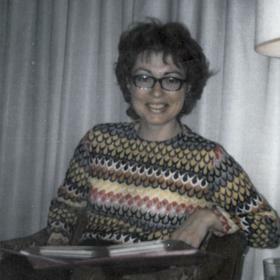 Though nothing warmed her heart quite like gathering with family to celebrate birthdays and holidays, she also enjoyed watching movies that inspired laughter and a good meal of either lobster or prime rib. Chocolate was her favorite treat, and she often sang along with Elvis and John Denver while working her chores. Just as Jean’s legacy includes the values of faith, resourcefulness, and the importance of family, it also includes an indomitable perseverance even in the face of life’s greatest hardships. Jean understood the power of prayer and turned to her faith where she fully expressed her grief when her son John died in 1993. When her beloved Robert died in 2002 and later when her daughter Sarah died, she continued to find solace in her prayers. In 2014, when faced with a cancer diagnosis, she once again found comfort in her faith and the family she so cherished. With signature strength, Jean chose to live each day fully, with love in her heart and faith as her guide. Without a doubt, it is hard to imagine life in the absence of Jean’s steadfast presence. May the memories of her undauntable spirit and the beautiful traditions she gifted us afford deep comfort. May it also provide comfort to know that with each cookie we bake, berry we pick, prayer we make, and challenge we confidently rise up to meet, we celebrate the best of Jean’s legacy in our own lives. In this way, we continue to keep her bright spirit shining and inspiring others as she so inspired us. On May 16, 2018, Jean Evelyn Tilden Clarke, Age 77, died, in the comforts of her daughter Anne’s home in Otsego. She was born January 26, 1941, in Gary, IN the daughter of Herbert and Evelyn (Watrous) Tilden. She was preceded in death by her husband, Robert Clarke in 2002; son, John Clarke, and daughter, Sarah Meyers. Surviving are 6 children: Anne Marie (David) Chavez, Robert Clarke, Mary Jean (Richard) Harrison, Roger (Dawn) Clarke, Mike Clarke and David (Cassie Breeding) Clarke; 4 grandchildren: Matthew, Emily, Teresa and Noah; 3 siblings: Richard (Peggy) Tilden, Sandra (Jim) Marcum and Diane (Keith) Dennigton; and many nieces and nephews. Visit with family and friends while sharing food and refreshments on Sunday, May 20, 2018, from 3-5 PM at Betzler Life Story Funeral Home, 6080 Stadium Dr. Kalamazoo (269) 375-2900, the rosary will be recited at 4:30 PM that afternoon. Mass of Christian Burial will be celebrated Monday 10 AM at St. Augustine Cathedral. Burial will follow at Grand Prairie Cemetery. Following the burial, lunch will be served in the Cathedral Center. 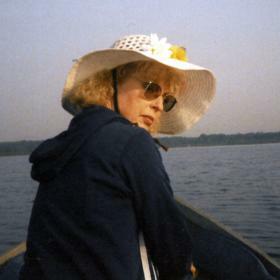 Please visit Jean’s personal web page at www.BetzlerFuneralHome.com, where you can read her story, archive a favorite memory or photo and sign her online guestbook before coming to the funeral home. Memorial contributions may be made to Loaves and Fishes.